The trees sold by a 'major retailer' had been shipped from a nursery in New Jersey that was within a quarantine area for the destructive emerald ash borer. Emerald ash borers are viewed as among the most destructive pests in North America. Wanted: three scofflaw potted ash trees that may be harboring an invasive pest. The Maine Department of Agriculture, Conservation and Forestry wants the public’s help locating three ash trees sold by a major retailer that received shipments from a New Jersey nursery that’s within a quarantine area for the emerald ash borer. While department’s staff removed and destroyed other trees sent to Maine from the nursery, the three in question were sold this summer before the discovery of the potentially infected shipments. A native of Asia that has become established in parts of the U.S., the emerald ash borer is regarded as one of the most destructive pests in North America. Larvae of the small, metallic-colored beetles tunnel under ash trees’ bark, causing extensive damage that typically kills the host trees within three to five years. The insects, which have killed tens of millions of trees in the U.S. and Canada, pose a threat to ash trees that fill an important economic, cultural and aesthetic niche in Maine. 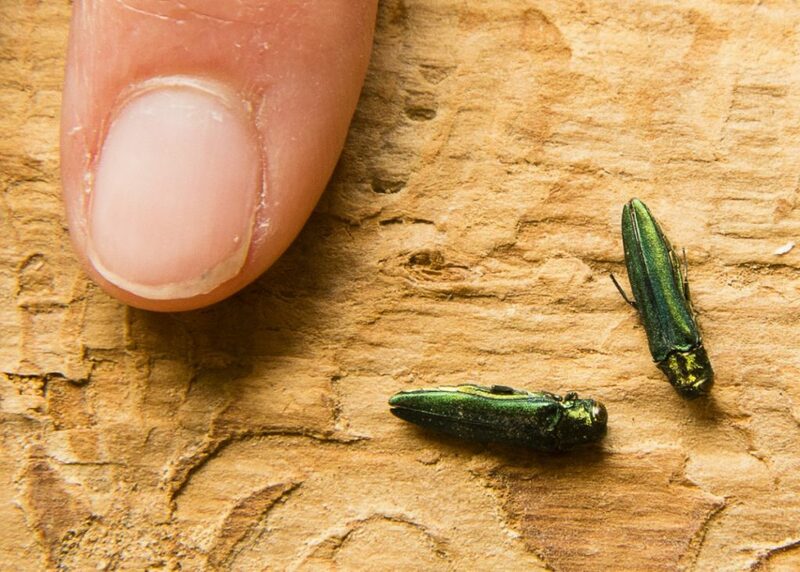 Earlier this summer, Maine entomologists found emerald ash borers for the first time in the state in several locations around Madawaska along the Maine-Canada border. Those insects were believed to have crossed over into Maine from infestations in neighboring New Brunswick. But officials say the transportation of emerald ash borers – as well as other destructive, invasive pests – in nursery stock or firewood poses an ever-present threat in Maine. Department spokesman John Bott declined Thursday to name the retailer or the locations of its stores, saying the agency wants to use the incident as a way to raise the alarm about the emerald ash borer around the state. Bott also said the department wants to hear from as many people as possible who purchased ash trees. “It drives home the point that if you bring in firewood from another state or, in this case, you go to a retailer and purchase an ash tree, there is a possibility that you will spread the emerald ash borer,” Bott said. The ash trees in question were labeled as “Fraxinus pennsylvanica Patmore” on the tree tags. The three trees were purchased this summer with a retail price of $120 and were labeled as “Fraxinus pennsylvanica Patmore” on the tree tags and “Fraxinus oxycarpa ‘Raywood’ ” on the container sticker. 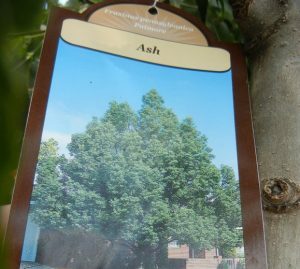 People who recently purchased ash trees can also call the department at 287-2431. Federal authorities are expected to impose a quarantine on ash trees or products in Maine in response to the insect’s recent discovery, similar to quarantines in place in other states, including neighboring New Hampshire. Bott said his department is working with federal representatives in hopes of limiting the size of the quarantine to the affected areas rather than to all of Aroostook County.